"Our Art must become a process -- a living, growing thing that people can relate to, identify with, be part of, understand; not a mysterious world, a universe apart from them." 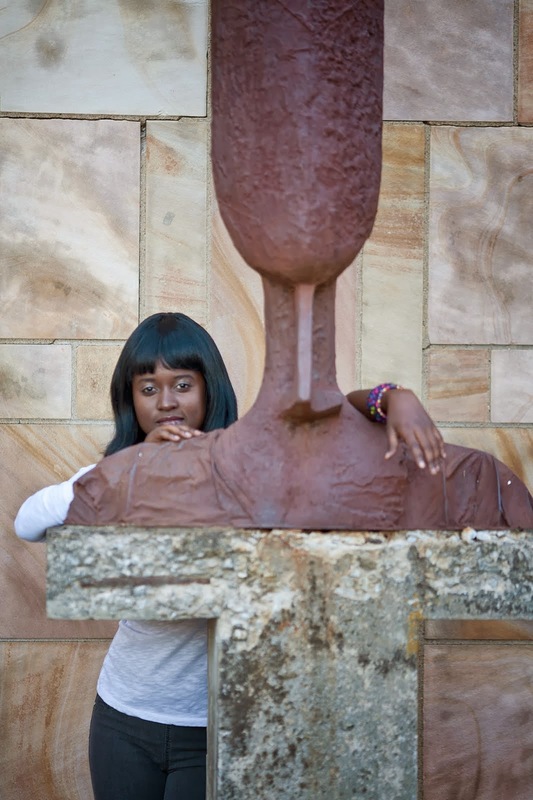 Thami Mnyele, visual artist. Let us treat the government of Botswana's definition of youth ie. 35 or under, as agreeable. If you talk to young poets in Botswana (and those who say that is what they are, are many for such a small country :), they will know the Live poets! (1990s), Exoduslivepoetry! collective(2000-2006 & 2011), Poetavango(2009 to date) but I bet you a tankard full of sour milk (a delicacy not some dodgy reference) that none of us know that before Exoduslivepoetry's Infinite Word Festival there had been a lot of activity in the late 70s and early 80s, other than the formation of the Writers Association of Botswana in 1980. But before we delve heart first into the past, a fantastic initiative, Arts for Change which included graffitti and creative writing workshops recently took on the task of changing the living landscape of one of the most densely populated low income neighbourhoods in the city of Gaborone. Looking at a gorgeous mural someone said, not for the first time when faced with a creative happening, "Wow this is the first of its kind, writers and artists working together in Botswana". So I remembered a link a frenchman (who also happens to be a good friend working out of Botswana) had sent me not so long. We know that on June 14, 1985 the South African Defense Force (SADF) raided Gaborone, killing twelve people. What many of us don't know is that a number of houses belonging to members of Medu, a cultural activist organisation were targeted, destroyed and that those 12 people included South Africans - artist Thami Mnyele and Medu treasurer Mike Hamlyn. Three years prior to the attack, Medu had hosted the country's first (and only as far as I know) Gaborone Culture and Resistance Festival. 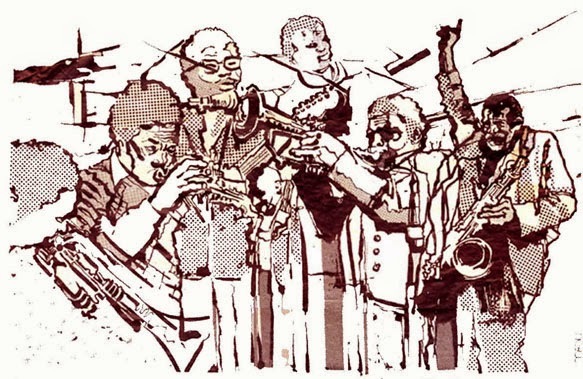 Between Medu's formation and its cessation overnight these cultural workers, for they apparently never referred to themselves as artists, hosted poetry readings and book discussions, prison workshops on art, theatre productions, composed and played music and created processes for political POSTER design. Other cultural activists in Medu included: in literature and drama, Mongane Wally Serote, Mandla Langa, Pheto Serote, Bachana Mokwena, Keorapetse and Baleka Khotsitsile, Marius Schoon, Patrick Fitzgerald and Thele Moema; in photography, Mike Kahn and Tim Williams; and in music, Jonas Gwangwa, Dennis Mpale, Steve Dyer, Hugh Masekela, Livy Phahle, Tony Cedras and journalist Gwen Ansell; other members included Muff Anderson, Mike Hamlyn (SA draft resister) and Uriel Abrahamse." South African History Online. Needless to say I wasn't there, though we lived near one of these bombed houses for most of my childhood so here is a link that might prove insightful - MEDU HISTORY.